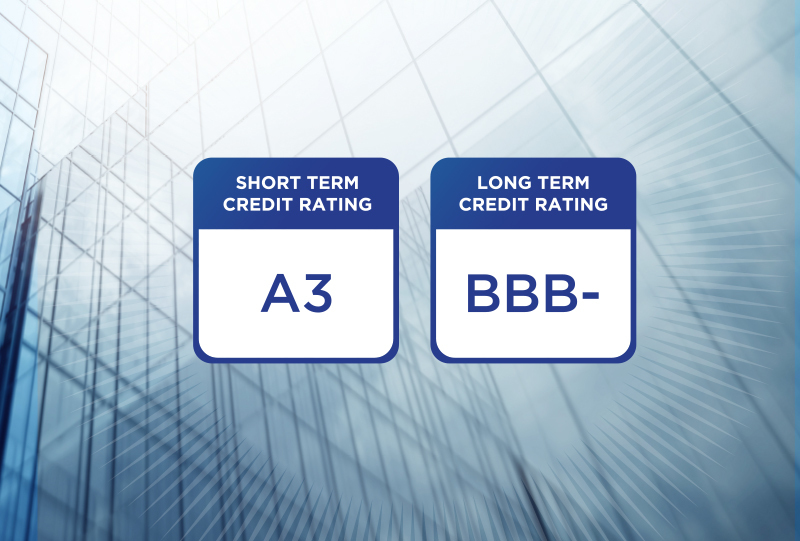 Abu Dhabi, 23 December, 2018 – Capital Intelligence (CI), an internationally acclaimed credit rating agency has reaffirmed Finance House’s Corporate Credit Rating at “A3” (Short-Term) and “BBB-” (Long-Term), both with a Stable Outlook. According to CI, the ratings are supported by a strong capital base, good capital ratios, satisfactory asset quality, generally good liquidity ratios that result from a strong deposit base that fully funds the loan portfolio, and good operating profitability. Mohammed Abdulla Alqubaisi, Chairman of Finance House commented: “At Finance House, we firmly believe that corporate strength is derived from innovative thinking, executive empowerment, inducing teamwork and encouraging our employees to realize their professional potential to the fullest extent possible. Such a corporate culture fosters individual & collective advancement and motivates employees to excel even under challenging market conditions”. “With favorable liquidity ratios, a strong capital base and rising operating income levels, Finance House continues to demonstrate its ability to overcome market instabilities and disruptions, leading to its investment grade ratings being reaffirmed by the rating agency with a stable outlook,” added Alqubaisi. Finance House has a constantly growing range of offerings to both corporate and retail sectors, together with investment banking capabilities. Further, its funding is currently provided by the strong corporate deposit base which more than fully funds the loan portfolio. This is backed by medium-term loan funding and by a series of committed short-term bank funding lines. T.K. Raman, Group Chief Financial Officer said: “This is an independent health check and a positive reaffirmation of the continued resilience of the Finance House business model and the robustness of our liquidity management and strategy execution capabilities”.